I think popplet was the first app I downloaded on my iPad. It did not disappoint, so it is only fair enough that it is also the first app I am blogging about. Having said this, I am nevertheless more excited about what this app might be able to do in future than it is able to do now. Popplet is – in a nutshell – all about conceptualizing your thoughts. In contrast to do this through a notebook or mind mapping app (more about this later), the good thing about popplet is that it gives you a reasonable degree of freedom in putting your thoughts down. You start with a blank canvas and an empty popplet (a rectangular box) in the center. From there, you add text, pictures, and free drawings to the box. You can also decide to change the size or the color of the popplet. 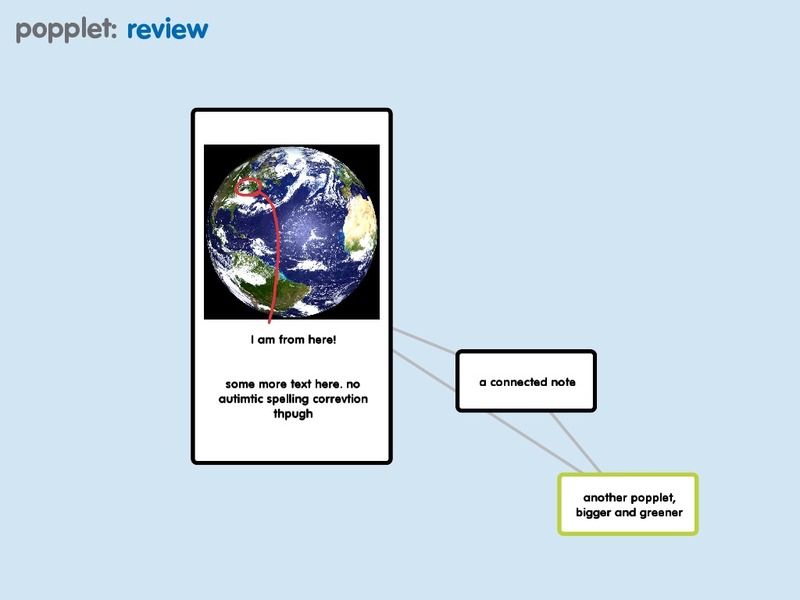 And, of course, you can connect your popplets with one another. The goods: What I really like about this app is how easy it becomes to conceptualize your thoughts, not at last due to a very engaging user interface. I like popplet a lot to prepare and think through an argument I want to write about, and the ability to connect various thoughts with each other and to move the popplets freely around without being limited to any hierarchy gives popplet the edge over notebook or mindmapping apps. Also, the canvas area is quite generous, so you won’t run out of space too soon, and zooming in and out works like a breeze. You can share your work through PDF or JPEG export, plus an online sharing tool is apparently in the works. The bads: As I said before, popplet is right now rather a great promise than a great app. This is because too many things are missing, such as non-rectangular shapes; abilities to group popplets, bend connections or manipulate where connections are attached to the popplet; a spell checker and the “standard” word correction engine; labels for connections; different type of connections (arrows and so on); as well as the option to add free-hand drawing to the canvas to, for example, visually group some popplets together. Overall: If popplet gets these things sorted out, and especially when they get their online sharing tool of the ground, this app will be stellar. Until then, if you think the price tag of $9 is a bit too high, you can download popplet lite for free, but you will only have one canvas to work with (the full version can handle multiple canvasses). I still think its worth the investment, because popplet is more flexible than notebook or mindmap apps and allows you to easily push your thoughts around when you need it most. For me, this is when I am grappling with a new idea. For everything more permanent, I tend to use notebook or mindmap apps. However you work best, give popplet a try, maybe it fits right into your workflow! 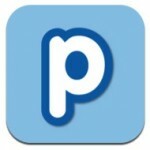 Downloads: popplet and popplet lite in iTunes.